Imprivata Confirm ID is the comprehensive identity and multifactor authentication platform for healthcare. 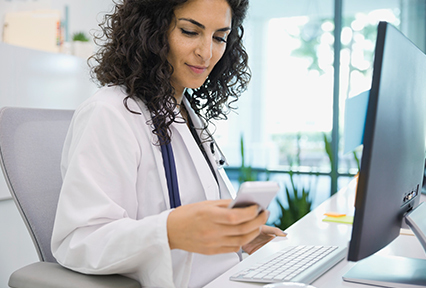 The need for holistic, enterprise-wide multifactor authentication in healthcare has never been greater, and Imprivata Confirm ID provides a secure, auditable chain of trust wherever, whenever, and however users interact with the patient record. The secure and convenient multifactor authentication solution for remote network access, cloud applications, and access to Windows servers and desktops. The most comprehensive platform for provider identity proofing, supervised enrollment of credentials, two-factor authentication, auditing and reporting. The fast, secure authentication solution for accessing and transacting with patient information on medical devices. The fast, secure authentication solution for clinical workflows. 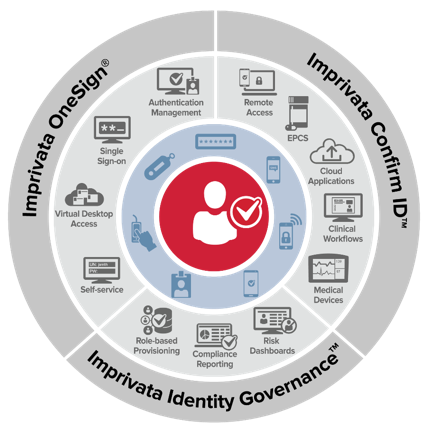 The Imprivata identity and access management platform brings together Imprivata Confirm ID, Imprivata OneSign, and Imprivata Identity Governance to provide healthcare’s only integrated solution for fast, secure, No Click Access into clinical systems and applications, streamlined clinical workflows, and automated identity management.